Food plays a crucial role in all of our lives, and this role is affected by food quality, availability, production, transport, and commerce. Moreover, our increased reliance on global supply chains has led to a variety of new challenges for food safety, security, and defense. Our guest editors Mary Helander and Anna Topol note that when we use the term food safety, we refer to efforts for ensuring against hazards that may cause harm to people or animals. The related area of food security concerns ensuring physical, social, and economic access to sufficient, safe, and nutritious food. Food defense deals with protecting against risk of malicious, criminal, or terrorist actions with respect to the food supply. The complexities associated with food and water systems continue to grow and require innovative technical leadership crossing disciplines, industries, and agencies. 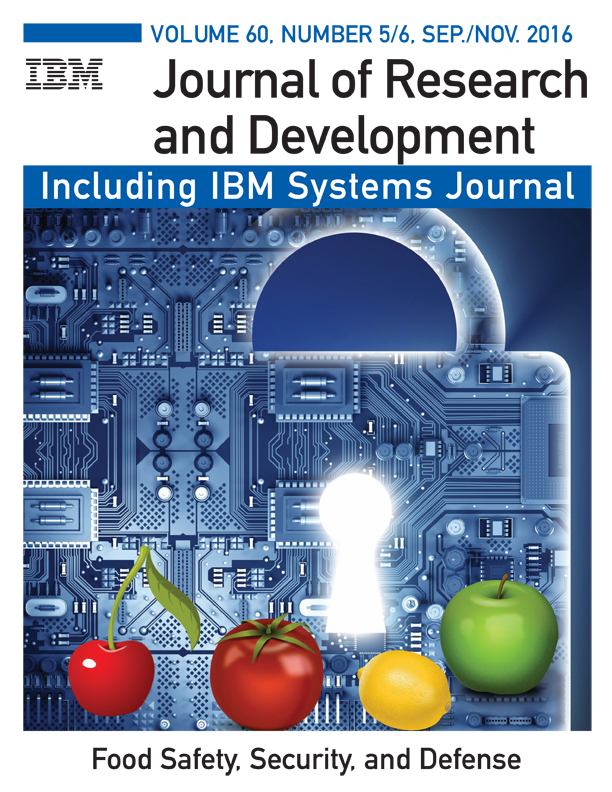 This special issue of the IBM Journal of Research and Development emphasizes solutions, models, analytics, and other technologies that form important building blocks for improving food and water safety, security, and defense. Topics span a variety of areas, including genetics, microbiology, epidemiology, crop production, and traceability in the food supply chain. Interested readers may visit the IBM Journal website for a sampling of recent issues, all available in the IEEE Xplore Digital Library.